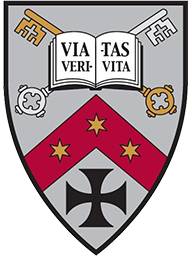 Benedictine College, an heir to the legacy of St. Gregory the Great, has founded the Gregorian Institute to contribute to the renewal of Catholic culture and religious freedom in America. Promoting Catholic identity in public life. Founded in 1858 and located on the bluffs of the Missouri River in Atchison, Kansas, Benedictine College is building one of the great Catholic colleges in America in order to educate Benedictine leaders who will transform the world through its mission of community, faith and scholarship.